Meijer Handling Solutions aims to add value to our customers’ and end-users’ logistical supply chains. 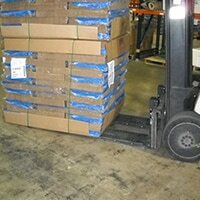 Meijer group is the world’s market leader in hydraulic lift truck forks, known as KOOI-REACHFORKS®. 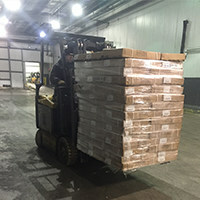 Also, we are known for Meijer palletless handling attachments such as the patented ROLLERFORKS® and Meijer unique PushPull systems. 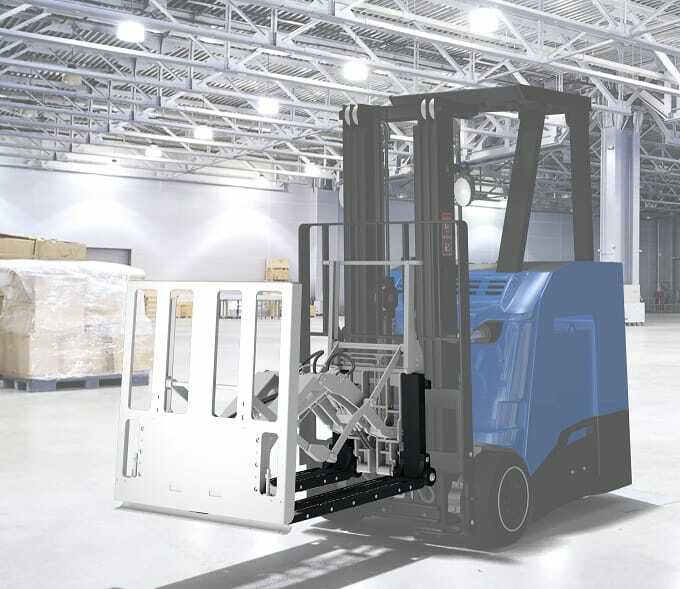 The latest Meijer Handling Solutions product to be introduced to the market is the patented FLEX-OPS®, a safety enhancement for forklift trucks. 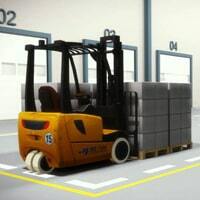 Meijer Handling Solutions logistics products increase the ease of deployment and application of logistics/transportation resources, such as forklift trucks and their variants. Ideally, these products are unique to the market. This eagerness for innovation has its roots in the very beginning of the company, almost a century ago. Al Thika Packaging is the exclusive distributor of Meijer Handling Solutions company in the Middle East. 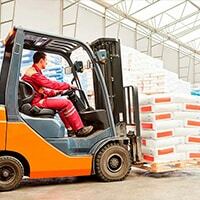 Since 1994 Al Thika has been supplying best material handling machinery including Rollerforks, hydraulic fork extensions, Palletless & Forklift extension for food, non-food & beverage industries in Dubai, Abu Dhabi, Sharjah, Fujairah, Ras Al Khaimah, Ajman, Umm Al Quwain, Al Ain – UAE, Saudi Arabia, Bahrain, Oman and the many other Gulf countries. We are the proud pioneer of telescopic forks since 1980. We have become the world’s largest producer of telescopic forks which are commonly known under the trade name KOOI-REACHFORKS®. 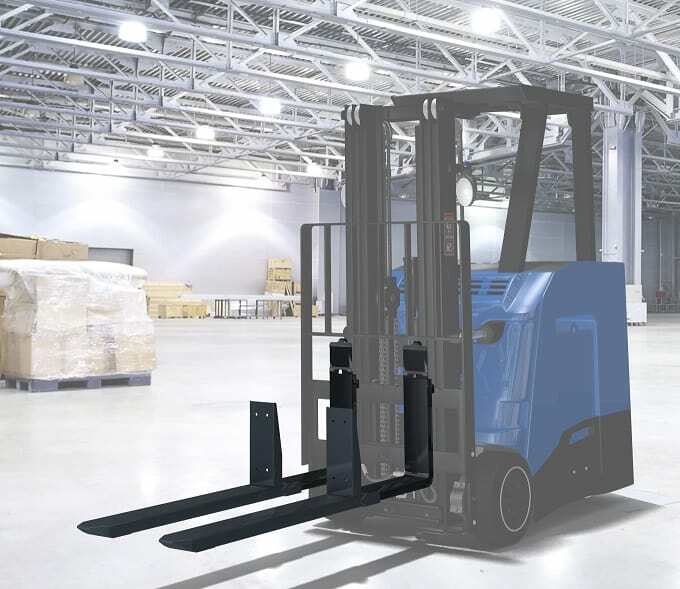 Designs include manual telescopic forks and hydraulic ReachForks as single and double cylinder design with an integrated equaliser system. 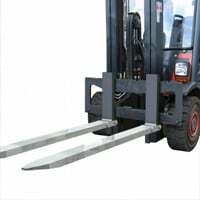 We supply the most advanced purpose built forklift slip sheet attachments available. 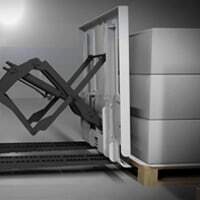 Our innovative pallet-less handling equipment, such as our mechanical ROLLERFORKS® or Push/Pull attachments, make it easy for companies to lower operational costs by reducing or eliminating the use of pallets. 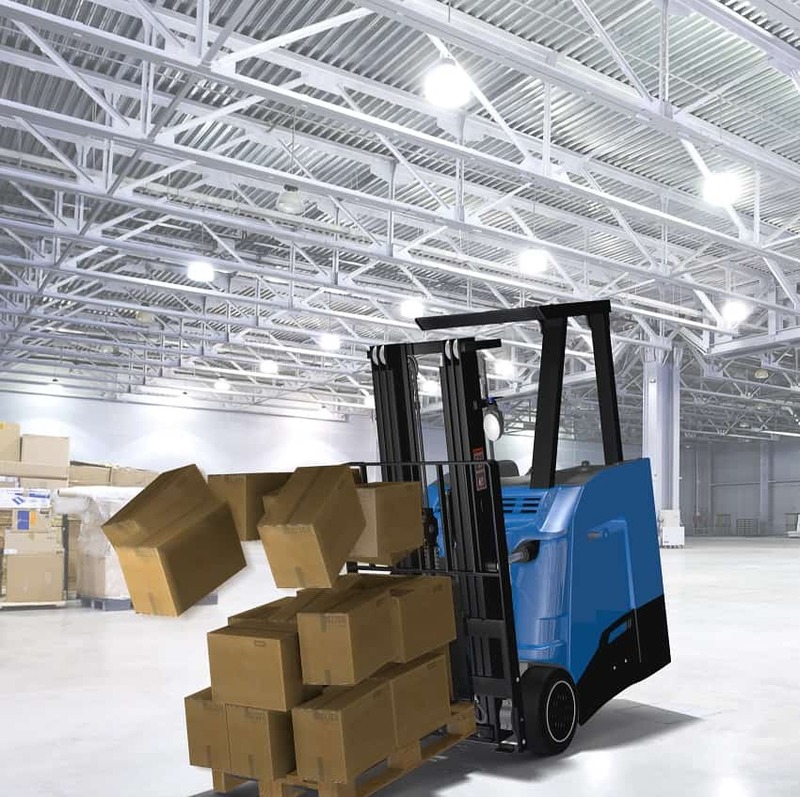 We offer the ability to add lift height to a standard lift-truck mast. 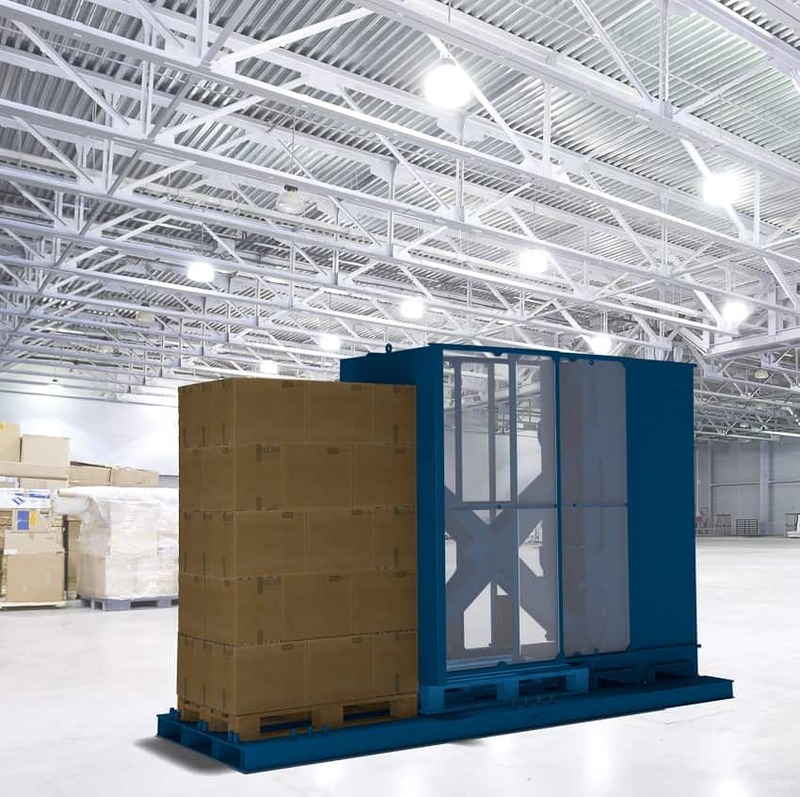 The “mast height extension” is especially useful if the existing mast does not comply with the requested height. The mast extensions provide additional lift height. 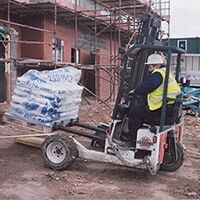 For rough terrain or side-loader applications, we have developed the single height shift system which allows loads to remain level while being transported over uneven or sloping surfaces in order to help improve safety. 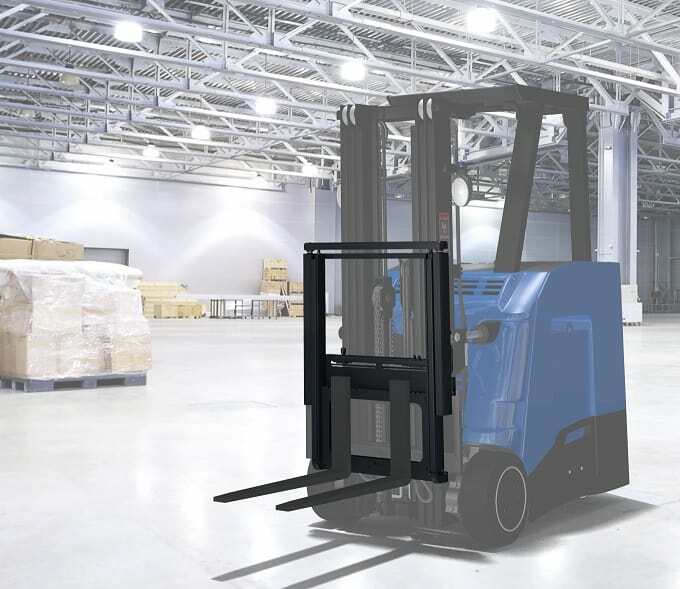 This Overload Protection System has been developed to increase the safety level for operators of forklift trucks in warehouses, manufacturing plants or other similar environments, helping to prevent tip over accidents, permanent fork deflection or even broken forks. 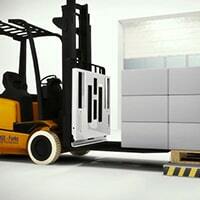 The KOOI-systems can be used to transfer unit loads from wooden pallets to plastic pallets or vice versa. 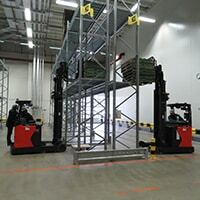 It can be placed in a convenient location to provide maximum efficiency for inbound/outbound pallet exchange or horizontal slip sheet transfer.